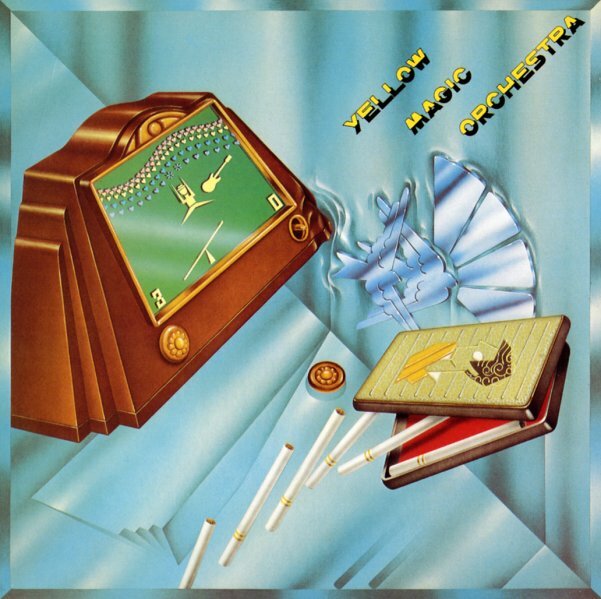 An electronic pop masterpiece – and the first moment of international exposure for the mighty Yellow Magic Orchestra! Before this set, the trio of Ryuichi Sakamoto, Haruomi Hosono, and Yukihiro Takahashi had already been making plenty of waves on the Japanese music scene – but the record gave them a focused showcase they never had before, and helped set the stage for so much other electronic music in years to come! The tracks are tuneful, but also created from lots of different electronic elements – video game noise, analogue electronics, drum machines, keyboards, and more – mostly wonderfully tuneful instrumentals, which gave the work a very universal appeal. Titles include "Computer Game (Theme From The Circus)", "Computer Game (Theme From The Invader)", "Yellow Magic (Tong Poo)", "Cosmic Surfin", "Firecracker", "Simoon", "La Femme Chinoise", "Bridge Over Troubled Music", and "Mad Pierrot". Japanese version also includes the track "Acrobat" – not on the US release. © 1996-2019, Dusty Groove, Inc.